Tailgates. Cookouts. Hot wings & cool nights! << The nostalgic reminders that football season is finally here! To some of us, this means we won’t be seeing our boyfriends for a while. Date night is out of the question. But to most of us, this means we’re right next to them. Elbows deep in a bag of chips. Wondering why… JUST WHY, did he fumble the ball again!? There’s no explanation as to why a room full of people yelling at the TV should bring such joy. Maybe its America.. or maybe it’s maybelline. 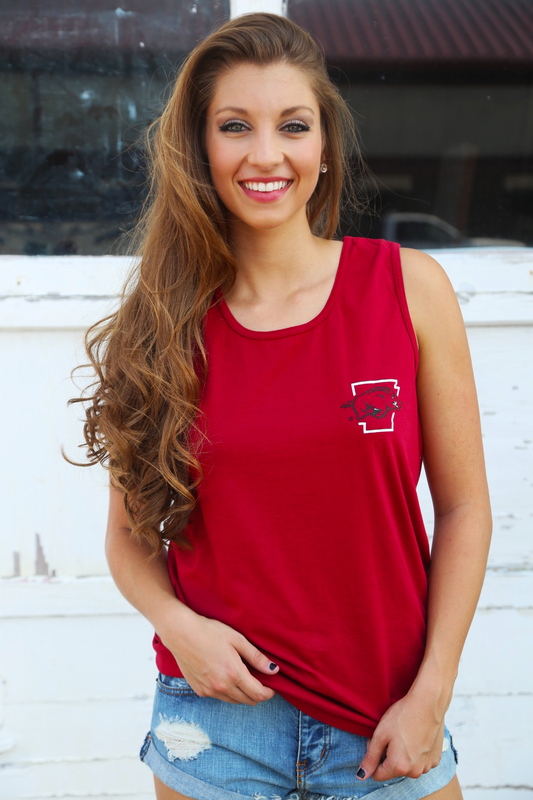 WOOO PIG SOOIE! 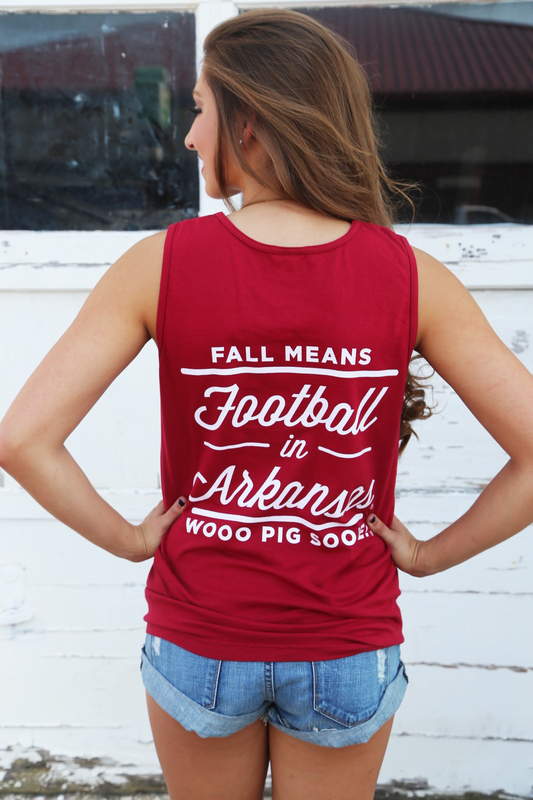 Posted in Today's Look and tagged arkansas, boutique, college football, fashion, football, ootd, razorbacks, SEC, tailgates, womens clothing, wooo pig sooie on September 3, 2015 by therageteam.